Hosta ‘So Sweet’ was chosen as the very first Hosta of the Year in 1996. This hosta has medium to dark green leaves and wavy, creamy margins. 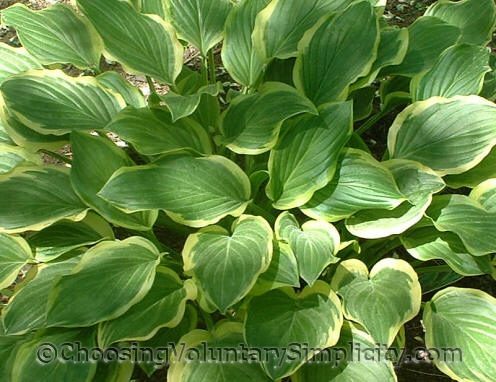 The leaves are smooth, of medium thickness, and shiny, becoming broader as the hosta matures. 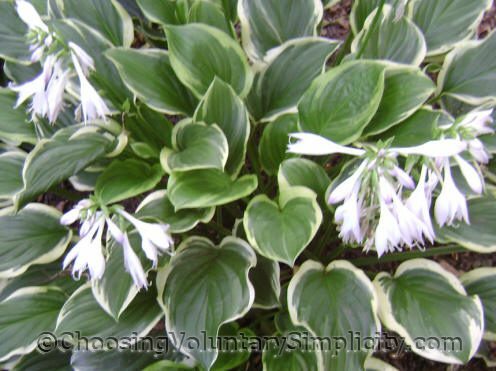 Although its foliage is attractive, the most outstanding characteristic of this hosta is its very fragrant pale lavender flowers. I have three So Sweets, and two are several years old, but so far they have produced very few seed pods and no seedlings. I appreciate the 2nd picture showing the color change later in the year. 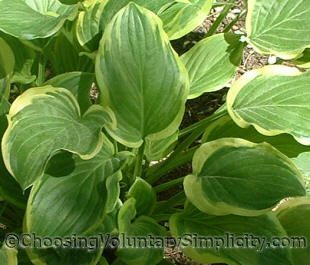 I have been confused over the difference between some photographs I have found for different names of hostas and the way mine look. So now I know why. Now this is funny. I bought a hosta last year at the local box store and it was labeled So Sweet. But it doesn’t look at all like the photos in your article. So I guess my hosta wasn’t labeled right. It’s a nice hosta though. I’m going to go on and read your other hosta articles, maybe I can find out what I really bought. Great site. I have one by my front door-it’s a stunner all season long. It withstands summer sun exposure from around 11 am to around 3pm without showing any stress at all. I divided it last fall and planted the division along the side of the house which receives only late aftn sun. It is darker green and doesn’t even look the same, so Tyrone, I know what you mean by your comment! 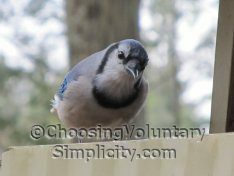 I agree with you that this is a great site!